The 5th Annual Bentley Scottsdale Polo Championships: Horses & Horsepower is only 10 weeks away! We’re gearing up for the most dynamic polo event in the U.S. and counting down the best of the best – from players to puppies, fashion show to art auction – until the big day, October 24, 2015! This week is all about that HORSEPOWER! No other Polo event brings the muscle (cars) quite like The Bentley Scottsdale Polo Championships: Horses & Horsepower. 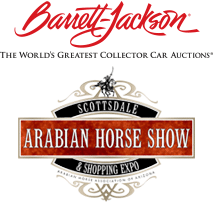 Our title sponsor is just the tip of the fleet as engine enthusiast can shop the Barrett-Jackson 2016 Auction Preview, pick up driving tips from the Bondurant School of High Performance Driving and find out about upcoming races at Phoenix International Raceway. Top car collector clubs from around the state and country, including Arizona Lamborghini Club, Ferrari Club of America, and the Scottsdale Corvette Club will also be on-site to show off their multi-million dollar collections. Check out our own collection highlighting the BEST OF HORSEPOWER pictures from our past Polo Championship events! This 1929 Rolls-Royce Phantom I Brewster Ascot Phaeton sold in 2014 at the Scottsdale Barrett-Jackson Collector Car Auction for $550,000. A 1956 Chevy Bel-Air sold at the Scottsdale Barrett-Jackson Collector Car Auction for approx. $300,000. 1927 Isotta Fraschini Lebaron 8A S Dual Cowl. This beauty remained on the Barrett-Jackson auction block earlier in 2015 – could 2016 be your year? Ferrari Club of America’s featured fleet. An impressive lot ready for the road. A Bentley takes the Polo field in 2014. 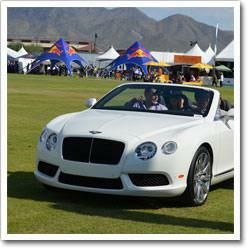 Sideline parking for the Bentley Scottsdale Polo Championship is available starting at $155 (Corvettes not required). So fill up your tanks, start revving your engines and we’ll see you at the 2015 Bentley Scottsdale Polo Championships: Horses & Horsepower! Tickets, tables, tents and sponsorship information available at www.ThePoloParty.com!